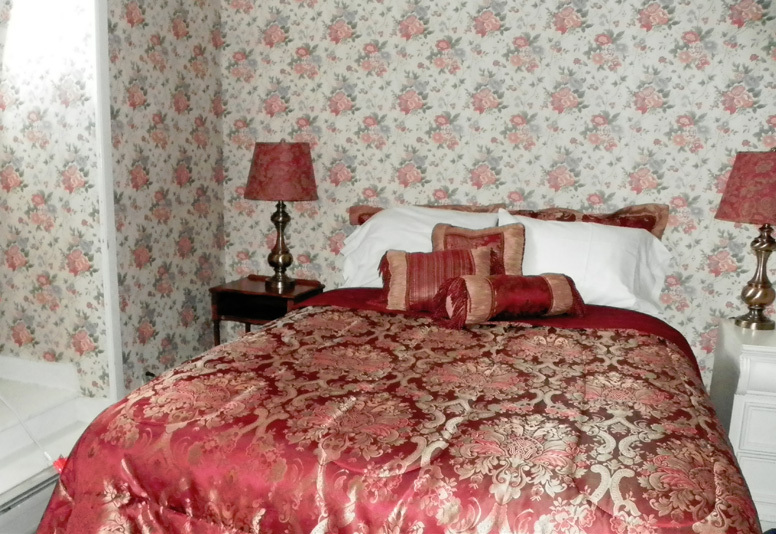 With the largest bathroom in the mansion, this 3rd floor room’s euro top queen bed has a victorian style iron headboard and wears regal red & gold bedding. Just to the left of the door is a closet. Nightstands are an antique french desk and a white dresser with a mirror over it. 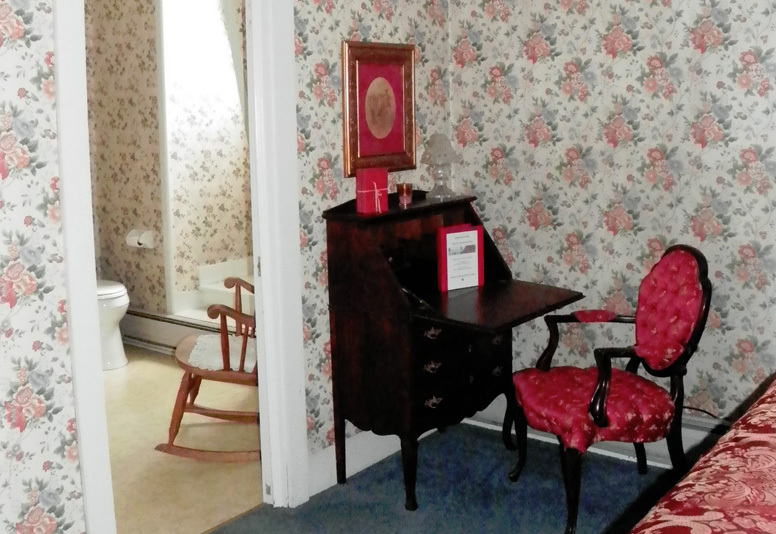 In the far left corner from the door is an antique french desk with a french red & gold upholstered desk chair. 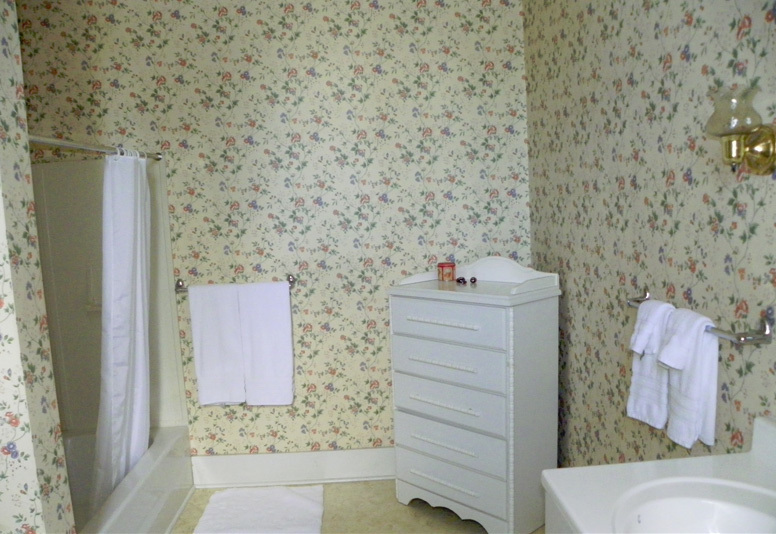 To the desk’s left is the door into the large bathtub/double head massage shower system bathroom which also houses a tall white dresser & rocking chair. For those colder nights an electric fireplace sits under the north wall window.